I am sure if you are old enough, you remember your parents or grandparents telling you about the good ol’ days when they had to walk to school every day in the winter. It was so cold and they had to walk in ten feet of snow, uphill, both ways. Sure we laugh at that today and we even laughed when we first heard it way back when. But the reason for such tall tales was to teach children that there are goals in life and you can’t let anything get in your way. I remember going to school in very cold weather. I remember going to school in bad weather. I remember going to school in very cold and bad weather. It really meant something when the school called for a snow day. Snow days were so special that they finally made a major motion picture of the event. They called it, yup, Snow Day. The Chris Koch directed film was a box office success back in 2000. I can only speak for myself when it comes to elementary school and high school back in the 1970s and 1980s but I remember walking to school when the roads were covered in ice. Yes ice. You could not walk on pavement and you actually had to walk on residential lawns. They did not cancel school. In fact, there was only a one hour delay after all the bus drivers refused to drive until the ice on the roads were melted. No kid was injured that day. Nobody died on the roads that day. We had school that day. So what happens when you introduce really frigid temps? They cancel school here in the USA now. In fact this cancelling caught the attention of a particular Governor. Kentucky Governor Matt Bevin said America is “getting soft” after hearing that some schools were closing in the Louisville area due to bitter cold weather. 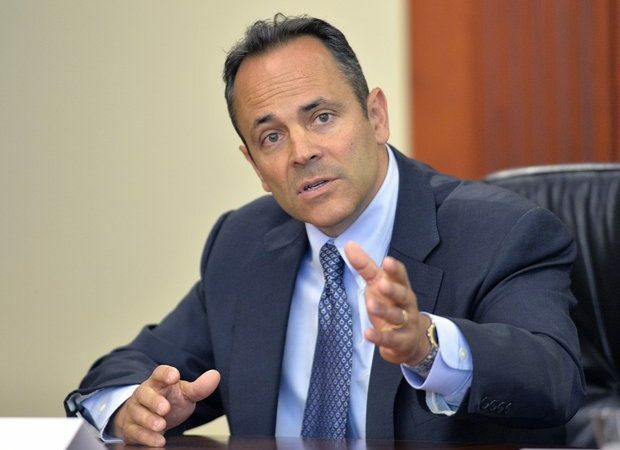 Bevin made the comment Tuesday during an interview with Terry Meiners on NewsRadio 840 WHAS. “Now we cancel school for cold, I mean…” said Bevin. “It’s a deep freeze! This is serious business,” Meiners responded. “C’mon now, I mean there’s no ice going with it or any snow. I mean, what happens to America? We’re getting soft Terry, we’re getting soft,” Bevin said. Indeed, he may be right. Do you think children in Russia get a day off because the temps dip below zero? How about in Alaska? If that were the case I am sure children in Alaska would miss half of the school year due to cold weather. We are making our children soft. They cannot handle incliment weather or incliment anything if we don’t let them experience it. Let face it, we gave participation trophies to their parents and look what we got today. Spoiled brat adults that need safe spaces when someone disagrees with them. Will we end up needing safe spaces from weather in 10 or 20 years?